Making Your Teaching a Little Sweeter: Pedagogical Implications of Nailed It! Inspiration sometimes comes from the unlikeliest of places. Educators often look to traditional resources such as in-services, graduate classes, and professional journals to improve their pedagogy. However, sometimes great teaching ideas can be found embedded in popular culture. One such example of a T.V. show that has three strong take-aways for teachers is the Netflix Original Series, Nailed It! Nailed It! is a competitive reality-show featuring three amateur bakers who create elaborate cakes and other desserts in pursuit of a $10,000 prize. One of the biggest things that separates this show from similar cooking contests such as Hell’s Kitchen and Top Chef is a healthy sense of humor. Host and comedian, Nicole Byer celebrates the bakers’ creations and creativity. 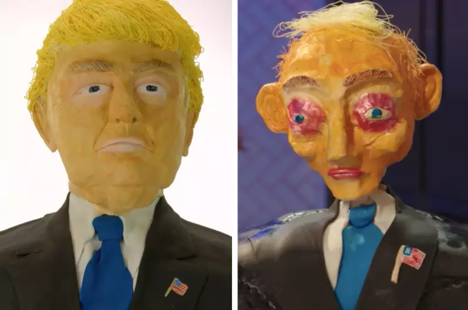 This is done with warmth and positivity, even when things turn out a bit disturbing such as this example from Season 1 Episode 6, where contestants where challenged to make an edible bust of President Trump. What follows are three pedagogical lessons to be gleamed from the show. The creators of Nailed It! regularly require beginning bakers to engage in projects beyond their comfort and experience level. Many of the projects require a certain degree of artistic skill and attention. 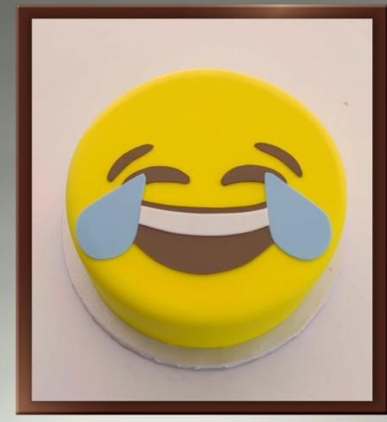 This emoji cake from Season 1 Episode 5 is a good example of a complex, but attainable, project that contestants were asked to replicate. I would argue that it is not that the average contestant is unable to perform at an appropriate level, but rather that they have had little to no opportunities to try. Without formal prompting or specific motivation, many bakers would prefer to perfect the fundamentals rather than take a risk and possibly fail at a new, advanced skill. Effective educators understand that high expectations are essential to a student’s success in the classroom (Rubie-Davies, Peterson, Sibley, & Rosenthal, 2015). Improvement is dependent on learners moving outside their comfort zone. A certain degree of struggle is necessary for growth. Effective teachers both know this and know how to provide appropriately tiered learning opportunities for each student, regardless of ability level (Rosen, Boyle, Cariss, & Forchelli, 2014). Even though the producers of Nailed It! set high expectations for their contestants, they do not require them to totally go it alone. Each contestant is assigned a large, red “panic button” that they can use if they get stuck. 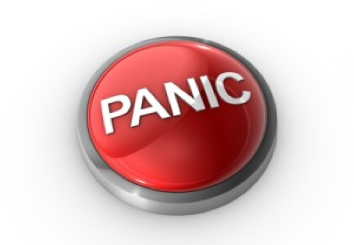 Hitting the panic button alerts one of the expert judges to come over and answer questions, provide suggestions, or even lend a hand, if necessary, for three minutes. There is no deduction for using your panic button, and it is not taken into consideration when the judges make their final decision. Therefore, it is always to the benefit of the contestants to ask for some help somewhere along the line. It is surprising how few take advantage of this option. Furthermore, many that do should have reached out much earlier. By the time they hit the panic button they usually have created a big mess or have done irreparable damage to their final product. The take-away here is to foster a classroom environment where asking for help is not only acceptable, but expected (Scherer, 2015). Give students ongoing opportunities to get our feedback and advice when working on a challenging assignment. One strategy to address this would be to substitute the common request, “Do you have any questions?” with the more enabling, “Ask me three questions about this before we move on.” The revised statement implies that asking questions is both a normal and required component of the learning process. Reality competitions like American Idol and Hell’s Kitchen relish in the concept of humiliating contestants. Judges often ridicule and belittle a contestant’s best attempt for the sake of entertainment. Such shows are often demeaning, and make me wonder who would subject themselves to such undeserved public humiliation. Nailed It! is refreshingly different. The host Nicole Byer, chef Jacques Torres, and the celebrity guest bring positivity to their proceedings. When a final entry looks less than perfect (which is often the case), the judges still find sincere compliments to bestow. Sometimes the cake looks like a mess, but is quite tasty. Other times, they recognize contestants’ effort or ingenuity. There is always something to celebrate. However, this does not mean that they simply ignore shortcomings. Rather than simply be critical, Nicole will often ask a baker what they were trying to do. Humor is used to reinforce honesty. Sometimes a creation just looks funny. The difference between Nailed It! and similar shows is that they are laughing with the contestants, not at them. The spirit of this approach is exemplified in this clip where a contestant submitted a fairy tale princess cake. Expert pedagogy involves creating and maintaining positive relationships between student and teacher. Feedback on learning is essential for growth (Brookhart, 2017). How a teacher responds is often as important as what she says. Recommendations inspired by the streaming series suggest that teacher feedback ought to be supportive and honest. It is also a good idea to employ humor in a way that promotes the student-teacher dynamic, rather than diminish it (Beghetto, 2019). The three discussed techniques in this essay – provide student challenges, appropriate help, and constructive feedback –that can be easily and effectively employed in any classroom regardless of skill level or grade.The integration of pedagogy and popular culture promotes learning in non-traditional yet potentially, highly effective ways. It is up to the individual teacher to discover what works best. Beghetto, R.(2019). The role of humor in teaching for creativity. In Creativity and Humor (pp. 143-155). London: Academic Press. Brookhart, S. M. (2017). How to give effective feedback to your students (2nd ed.). Alexandria, VA: ASCD. Rosen, S. M., Boyle, J. R., Cariss, K., & Forchelli, G. A. (2014). Changing how we think, changing how we learn: scaffolding executive function processes for students with learning disabilities. Learning Disabilities: A Multidisciplinary Journal, 20(4), 165-176. Rubie-Davies, C. M., Peterson, E. R., Sibley, C.G., & Rosenthal, R. (2015). A teacher expectation intervention: Modelling the practices of high expectation teachers. Contemporary Educational Psychology, 40, 72-85. Scherer, M. (2015). Perspectives/the species that asks. Educational Leadership, 73(1), 7-7. Dr. Rich Mehrenberg is an associate professor of special education at Millersville University. Research interests include co-teaching, the needs of early career teachers, and ways to enhance student learning and engagement through popular culture.